This report is found under the Banking section of the reports menu. Select the A/R account as the account to work with and it will list all the numbers used. Another way to accomplish this is to go to the customer center and click on the transactions tab (on the left side of the screen), select invoices, filter by all invoices,all dates, click at the top of the number column and it will sort by number. At least that’s how I do it. Don’t know which way is faster. That works too, Elizabeth. 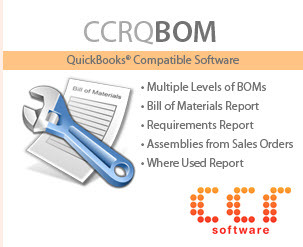 Always more than one way to accomplish tasks in a flexible program like QuickBooks. Both work. You can also start with the Missing Check report and filter it out for invoices instead of Checks and filter off of the AR account. The will give you the duplicate numbers and the missing numbers instead of hving to review the list manually. Robin, unless I misunderstand what you are saying, isn’t that what my original recommendation was? Pick the Missing Checks report and set it to the A/R account – and you get the “missing number” info? Unless you are trying to point out something different. But you point out the issue I woudl have with Elizabeth’s recommendation – the Missing Checks report highlights the items that are missing, the Customer Center won’t make that as obvious. How do I credit sales tax on an invoice? We invoiced a customer for goods sold, including sales tax. A week later they brought in a tax exempt form. The invoice has not been paid. How do I credit just the amount of sales tax on this invoice? 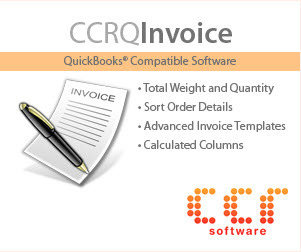 Is it possible to have a duplicate invoices in quick books and each have a different payment method ( ex. One paid with a check and the other with cash) and both are paid by different customer? A lil back ground, just started new job and this company was running quick books pro 2013 between January 2015 – March 2015. In April 2015 they started running quick books online 2015 it was not working for them so the switched back to the 2013 Version. Of course the numbering sequence is off now I’m seen duplicated invoicing different payment methods. what is the best report I can print from quick quick books that will give me that information I need about the duplicate invoicing and payment method… HELP… What is the best report I can print from quick quick books that will give me that information I need about the duplicate invoicing and payment method.. Help!!!! 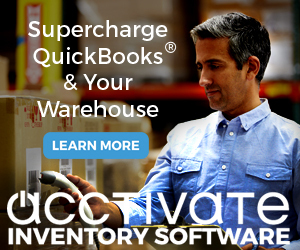 Sherrie, QuickBooks lets you assign the same number to multiple invoices very easily. It can be a pain. The “invoice number” isn’t required to be unique. Use the “Missing Checks” report, and when it asks you for the checking account you can pick Accounts Receivable. That will list all the invoices (and journal entries, but you can filter the report just for “invoices”) in invoice number sequence, and you can quickly scan it to see any duplicates.